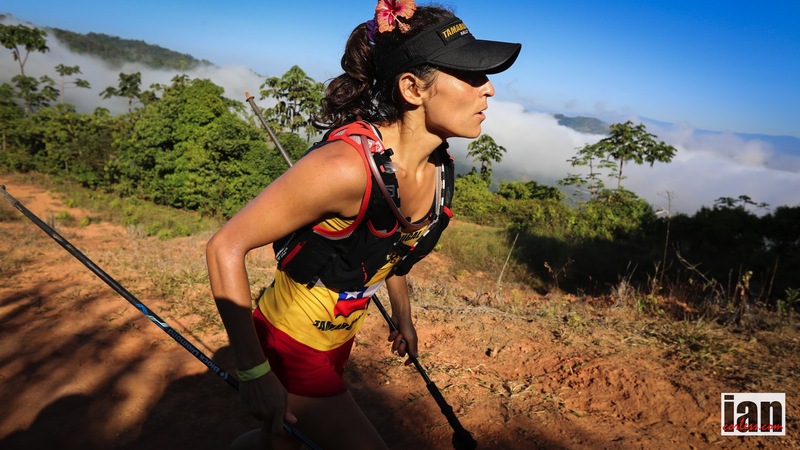 The 9 Dragons Ultra presented by HOKA ONE ONE is a challenging, multi-day trail and ultra-running event taking place on the 1st to the 3rd of February 2019, in Hong Kong. 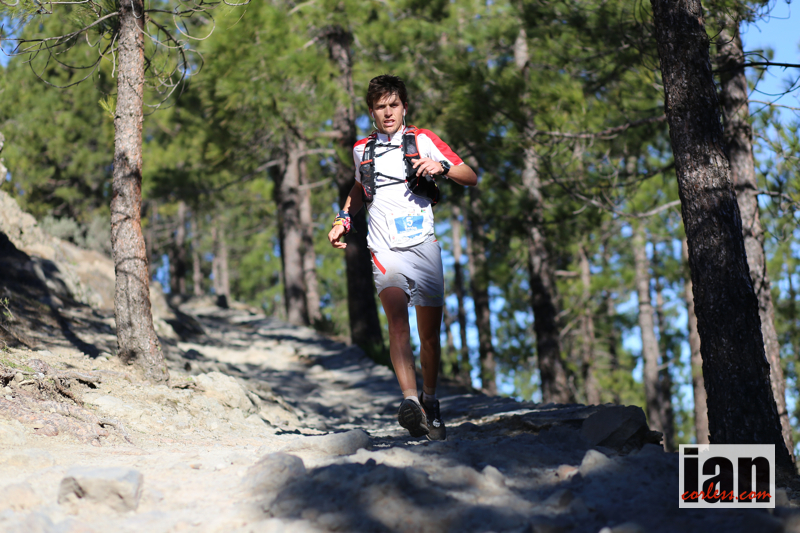 The first race, starting at midnight on Saturday, consists of an 89km (50 mile) trail run with a an elevation gain of 5,070m. 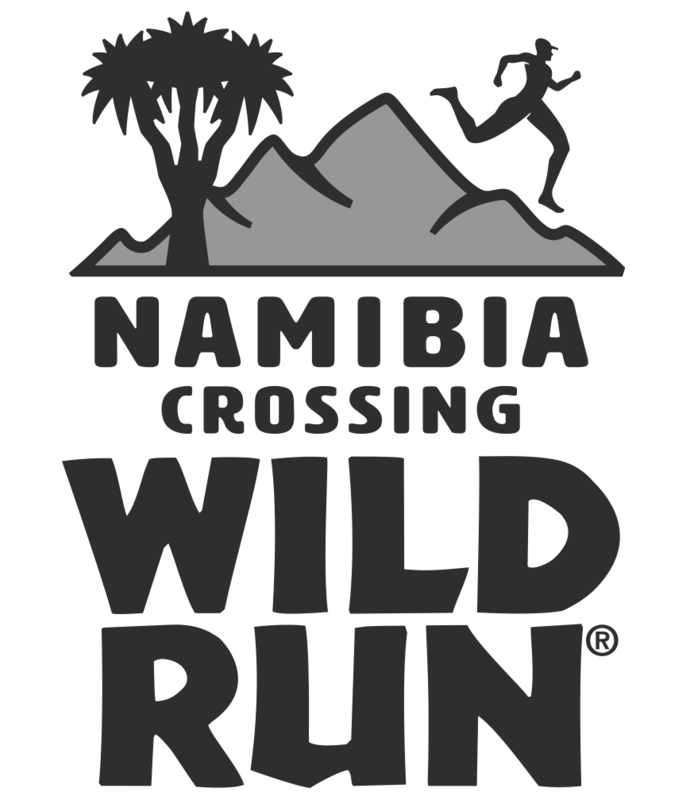 Sunday features an entirely different 50km course with a further 3,550m of elevation gain. 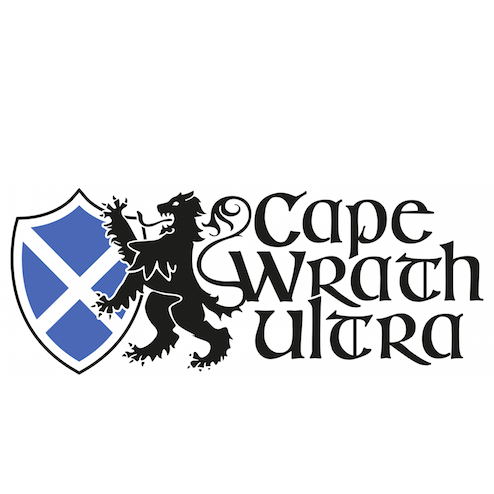 250 places will be available to runners who hope to aim to complete both events over the weekend –The 9 Dragons 50/50– and a further 250 will compete in either the 50 Miler(82km) or 50km race. 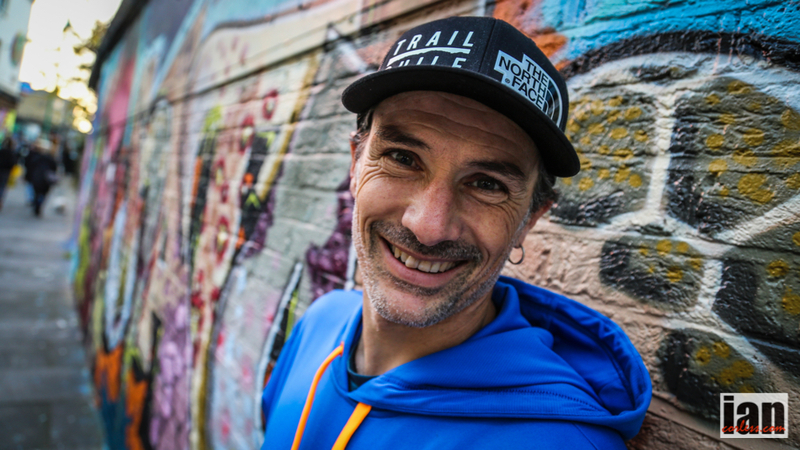 Elite runners, Julien Chorier from France, Magdalena Boulet flying in from the USA and Frncesca Canepa from Italy will trade blows with local talent that includes, Ben Duffus, John Ellis, Kazufumi Ose, Chor Kin Law, Jeremy Ritcey, Hisashi Kitamura and Jacky Leung. 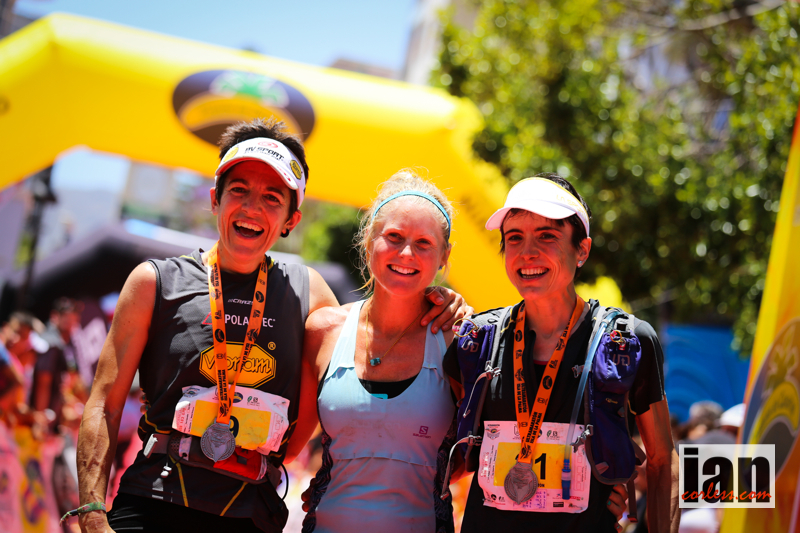 For the women, Corinne Williams, JCY Ho and Ruth Theresia will provide the competition at the from of the race. A transliteration of the Chinese 九龍, gau lung, or “Nine Dragons”, Kowloon is named for the eight mountains which rear up behind the plateau—and one final dragon besides. Legend goes that Kowloon was named in the year 1278 by the boy Emperor Bing, of the Southern Song Dynasty. Noticing the eight hills of Kowloon (Kowloon Peak, Tung Shan, Tate’s Cairn, Temple Hill, Unicorn Ridge, Lion Rock, Beacon Hill, Crow’s Nest), the emperor was pleased to name them the “Eight Dragons”—but a quick-witted courtier pointed out that the emperor was a dragon himself, making it nine dragons. What was Emperor Bing doing counting mountains at the southern tip of his empire? Well, he had nowhere else to go. For the whole of the 13th century the Mongols had swept down from the steppes, moving south through China and crushing the ruling Song Dynasty. First Genghis and then his grandson Kublai Khan stormed south, pushing the Song back, and back, and back. By 1278, Emperor Bing’s older brother, 10-year-old Emperor Duanzong of Song, had been pushed out of Fujian province and fled south to Guangdong. After Duanzong died from an illness contracted while running from the Mongols, the throne passed to 7-year-old Emperor Bing. The child was crowned at Silvermine Bay, on Lantau Island. But Bing’s reign was not to last. The Mongols pressed onwards and just one year after the emperor’s coronation, the Song Dynasty made its final stand against the invaders. At the naval Battle of Yamen on March 19, 1279, a Mongol navy of some 50 warships smashed the Song flotilla of more than 1,000 ships to pieces. There was nowhere left to run. Lu Xiufu, the emperor’s most loyal general and statesman, picked up the 8-year-old king and leaped into the sea, in search of an honorable death. Kublai Khan had unified China under his fist, and the sun dawned on the Yuan Dynasty. You can visit the “Terrace of the Song Kings,” in the Sung Wong Toi Garden park in Kowloon City. It’s home to a rock carving which commemorates the two-year reign of the Song kings in Hong Kong. But the legacy of the last emperor of the Song doesn’t lie in a rock, but in those eight dragons: The boy emperor who named a city. 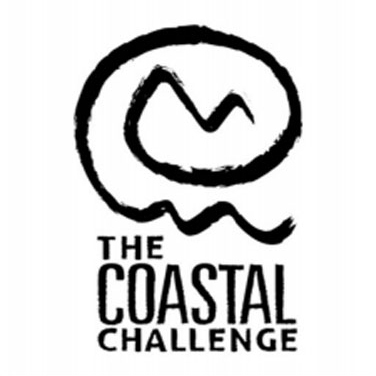 The 50-mile event will begin at 11:59pm on Friday 1st of February 2019 at the Po Leung Kuk Jockey Club Holiday Camp near Yuen Long and finish at Tai Po Tau Playground. The cutoff is at 19:00pm on Saturday 2nd February. The 50 Mile course starts at the Po Leung Kuk Jockey Club Tai Tong Holiday Camp near Yuen Long, and finishes at Tai Po Tau Playground, an 8 minute walk to/from Tai Wo MTR (East Rail line). It crosses Kowloon and the New Territories in Hong Kong from West to East. 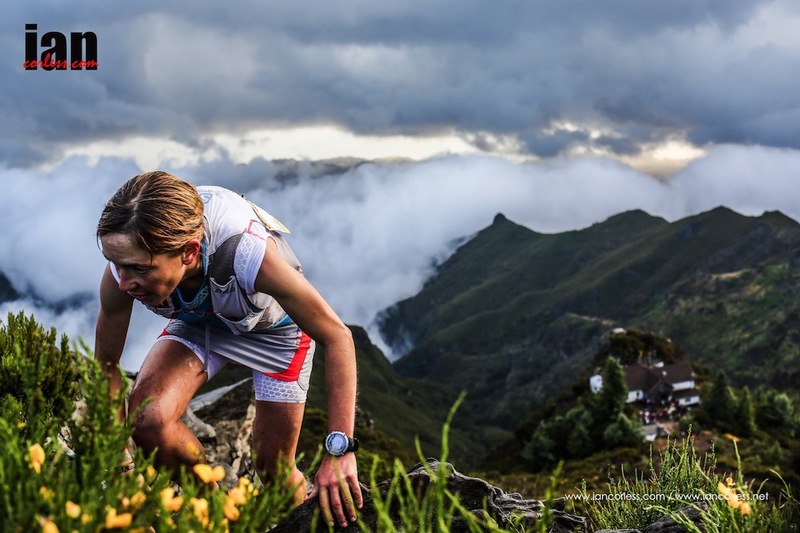 The route uses a variety of trails including the MacLehose and Wilson trails, and has an accumulative vertical gain of 5,070m. The 50km event will begin at 07:30am on Sunday 3rd February at Tai Po Tau Playground and finish at Shing Fung Studios. The cutoff will be at 20:00pm on the same day. The 50km course starts at Tai Po Tau Playground, an 8 minute walk from Tai Wo MTR (East Rail line) in the New Territories and finishes at Shing Fung Studios in Kowloon, running from North to South. The route uses a variety of trail including the Wilson and MacLehose among others, and has an accumulative vertical of 3,550m. 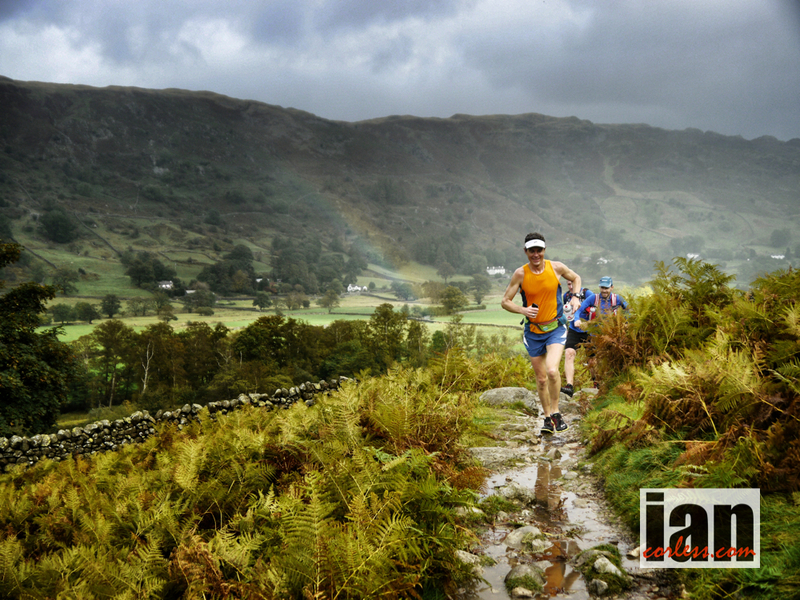 250 places will be available to runners who hope to aim to complete both the 50 Miler and 50km events over the weekend – The 9 Dragons 50/50. 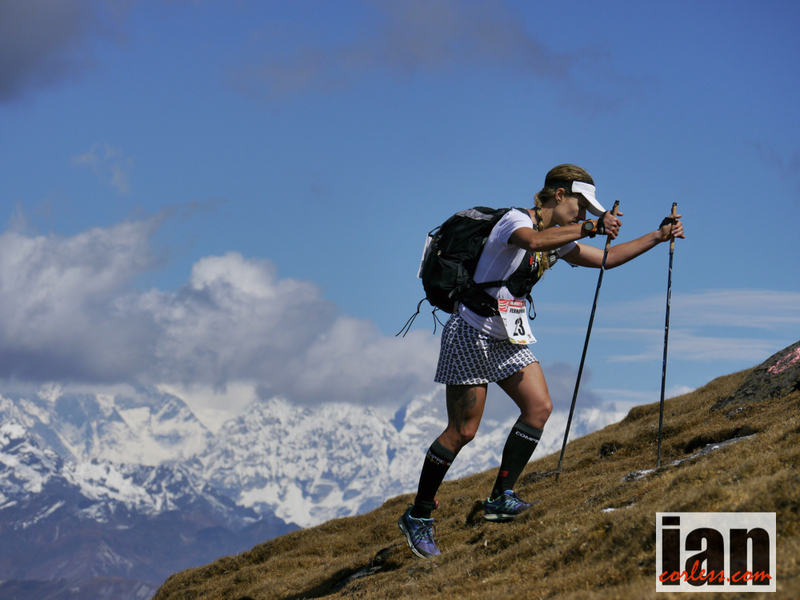 Francesca Canepa has recently spoken to Sergio Garasa at Carrerasdemontana on the alleged accusation of cheating at the 2014 Tor des Geants. Francesca was accused of using a car for a section of the Tor course and missing a checkpoint. 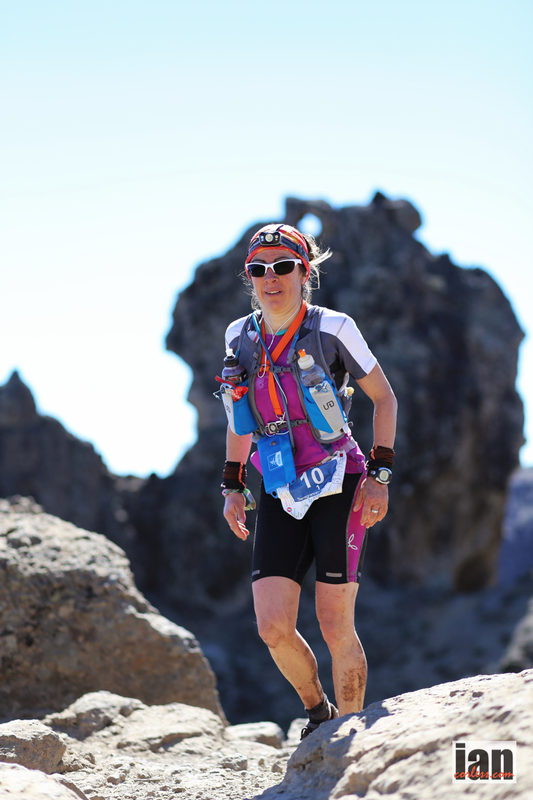 Tor des Geants race officials have disqualified Francesca for missing the check point. Of course, many stories are on the internet and several publications have commented on the story. The allegation of cheating came from runner, Paolo Rossi. 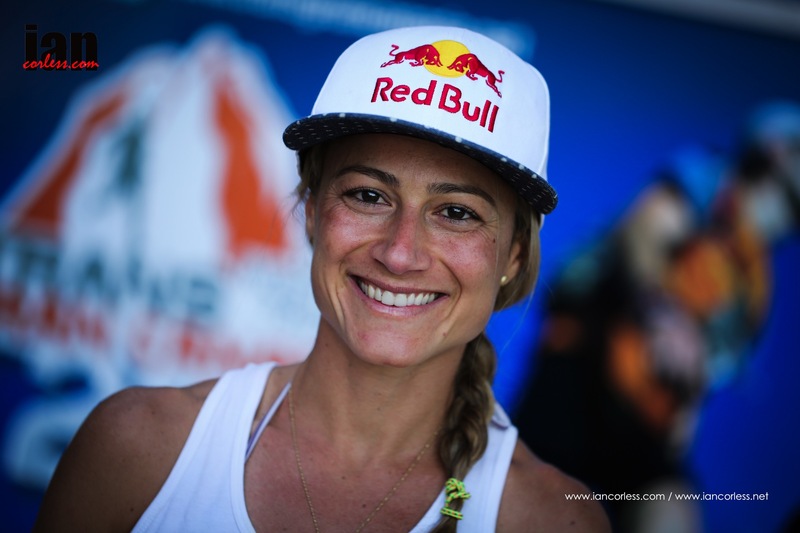 Here in this interview, Francesca provides an insight. Of course, this story may well run and run. 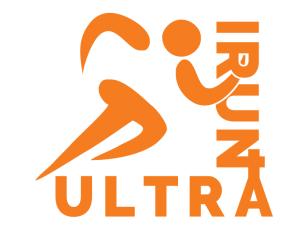 However, this is not the first allegation of cheating at an ultra and Francesca is not the only runner to be implicated. 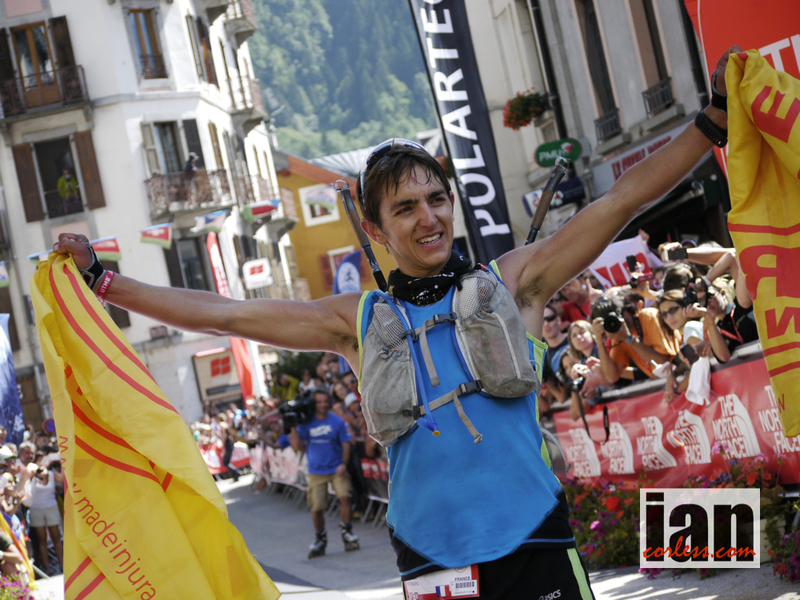 Franco Colle, this years Tor winner had accusations made against him last year. 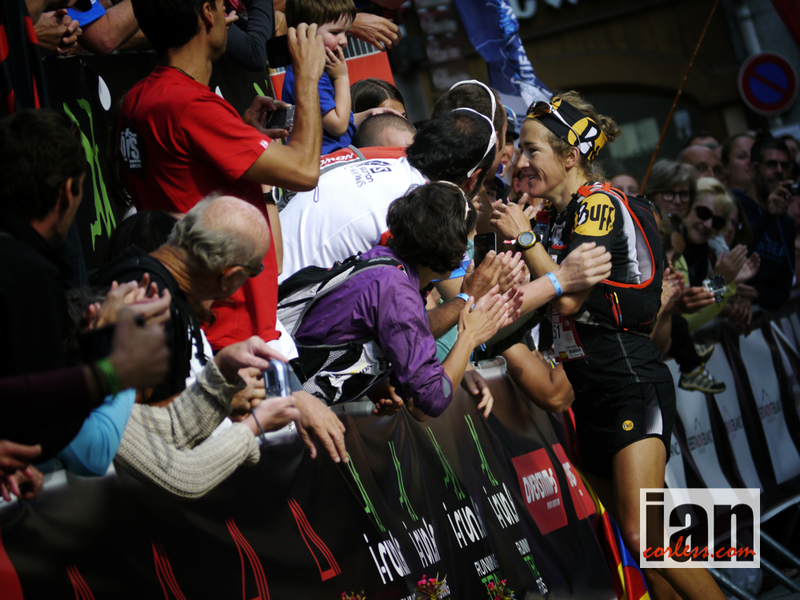 Accusations were made against Emilie Lecomte at the 2014 Ronda dels Cims (read HERE ). Ronda dels Cims responded HERE but ultimately I don’t think we are getting the full picture from some aspects of our sport. Pretty sure this will not be the last incident. Our sport is changing, prize money is increasing but importantly, people have cheated even when no money is at stake. 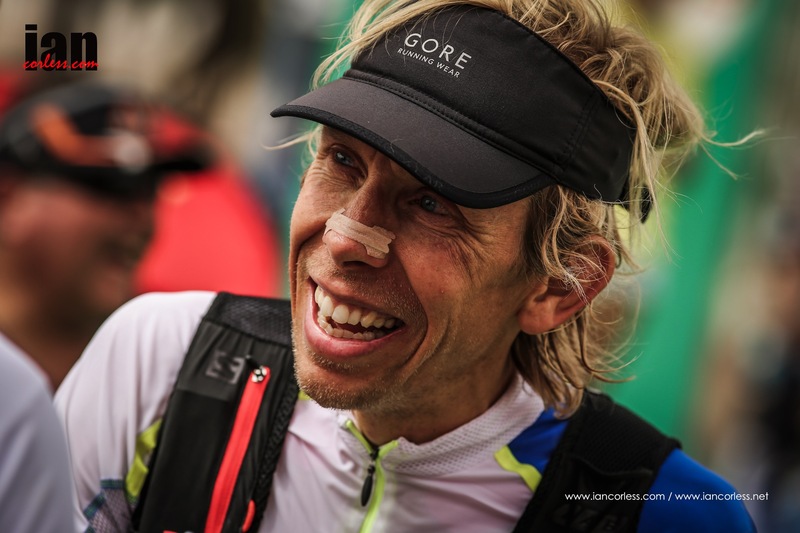 Ego’s need feeding and I am sure we can all recollect a story from the past… remember the gentleman who got a bus in the UK to cut out part of a road race? Or the guy who missed out a huge chunk of London Marathon by jumping the barriers? I wonder, will ‘Spot Trackers’ or similar become part of mandatory kit? I know they are not fool proof but I am pretty sure we need to be aggressive now, nip it in the bud and avoid some of the issues that other sports have had. I’d like to point out that I know Francesca in a professional capacity and I also know her manager, Renato. I have followed, watched and photographed and interviewed Francesca for over 2-years and I have seen her perform at the highest level against top quality fields. I know only the facts that have been circulated in the media and of course, we now have Francesca speak in English in this video interview to at least provide an insight in her own words. These past few days have been the most difficult and absurd of my life and I hope it is not difficult to understand that my thoughts have turned to stone. It is impossible for me to accept that I need to defend myself for something that, not only I never committed, but neither thought could be done by others. 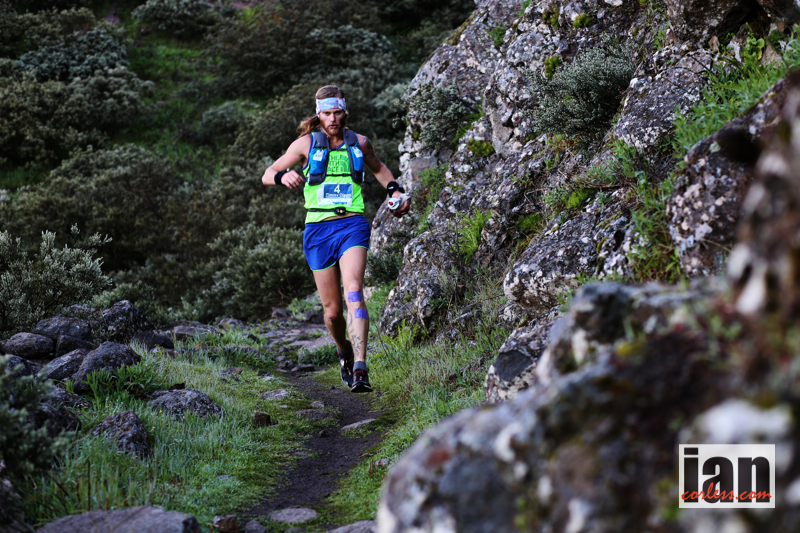 To cheat makes no sense in our races and it makes no sense in life. My opinion has always been that if it is necessary to take a shortcut, maybe it would be more appropriate to take the easier route. I have no need for shortcuts, I have never taken them and I do not want to take them in any area of my life. 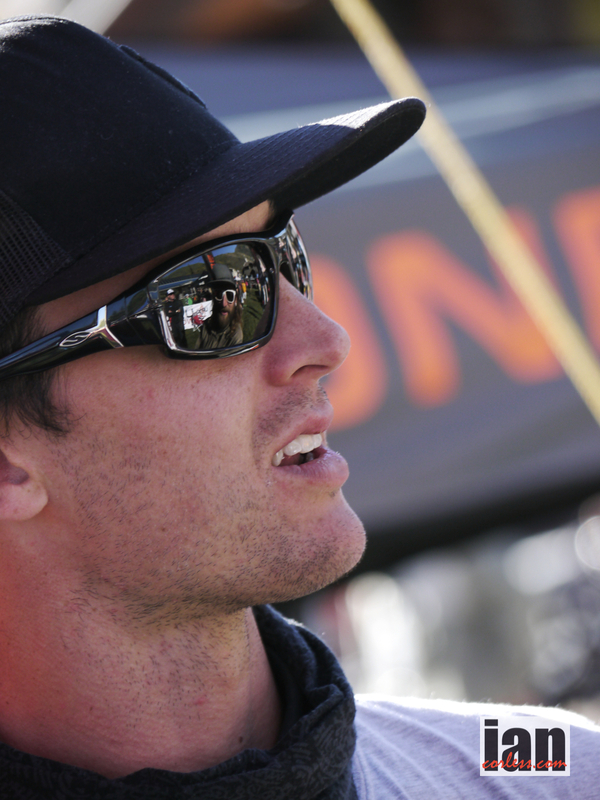 In these two interviews I have stated, not my version of the truth, but the FACTUAL truth. Ayone who has taken my silence as an admission of guilt does not know me. The only thing I know is that I will always be able to walk with my head held high and look people in the eye with a clear conscience. Not everyone can do the same. 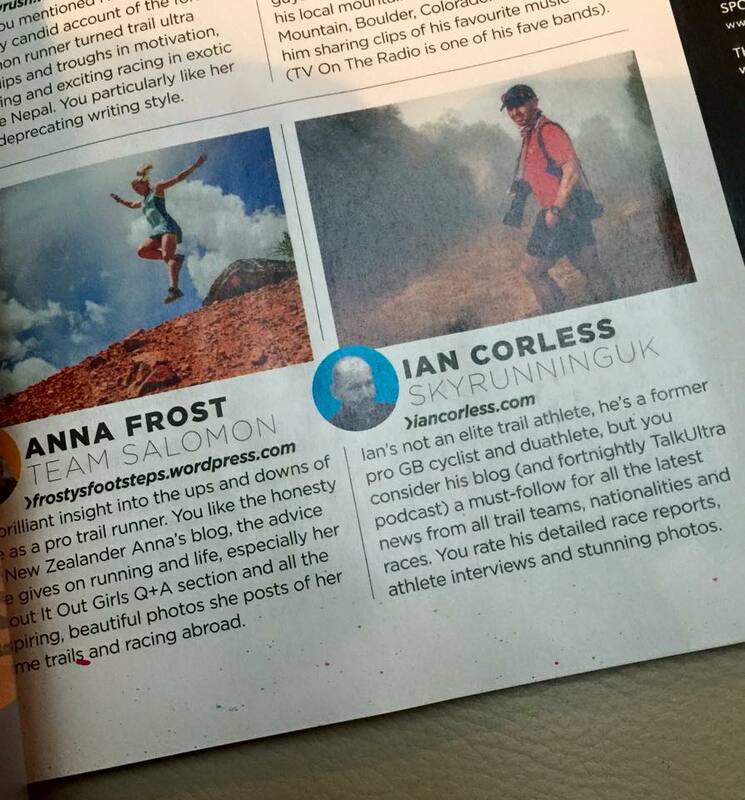 Thanks to everyone who, with a message, a word or even a thought, has chosen to believe in me. But what happened between the base life of Cogne and shelter Dream? Al Rifugio Dondena, however, Paolo Rossi crosses Francesca Canepa, who stopped to sign autographs for the kids, and they start to rain the first allegations. 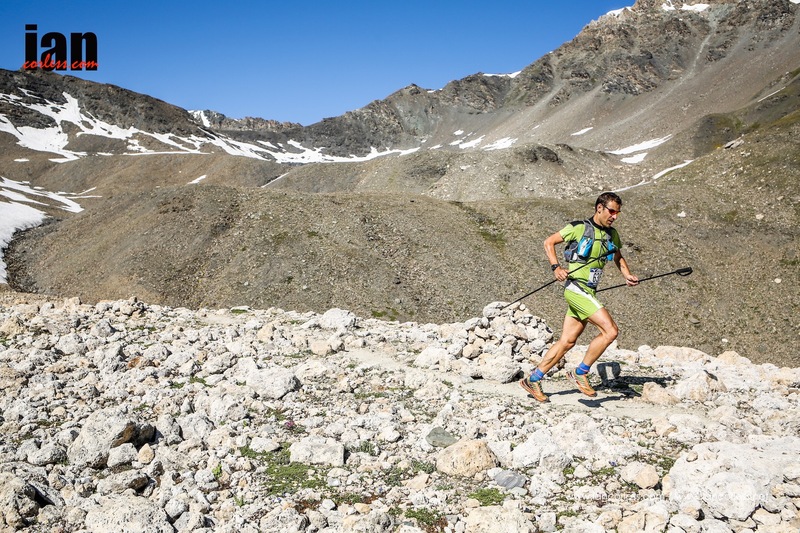 “How was the trip from Cogne to Lillaz in the car?”, Attacks him, convinced that he was in front from Cogne and never to be exceeded. Canepa replica bewildered: “If you have any problems please contact the organization.” The voices of the quarrel began to circulate, as well as the hypothesis of a possible exposure to Rossi. In reality Canepa is output from the base life before him, the tables give the reason, he never passed because it was already in front of him. Maybe Rossi has not seen Canepa out, but may have seen the car away from the parking lot of his coach. With him was the doctor Marco Patacchini. 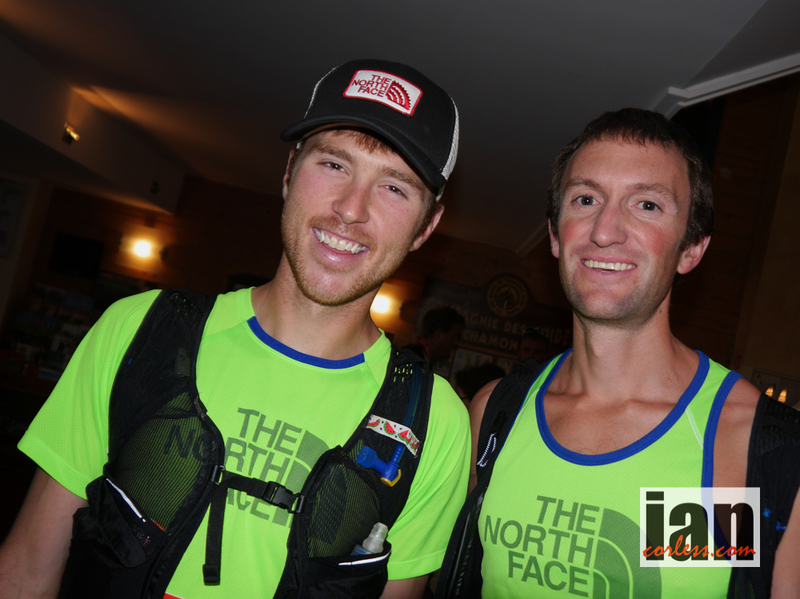 “We took the private road to climb to the refuge – explains Jorioz – and we were also stopped by Forestry. In the car it was just us two. “In any case, at the end Rossi decides not to submit the complaint, the organization instead proceed with further verification, then that will lead to the disqualification of Francesca Canepa. 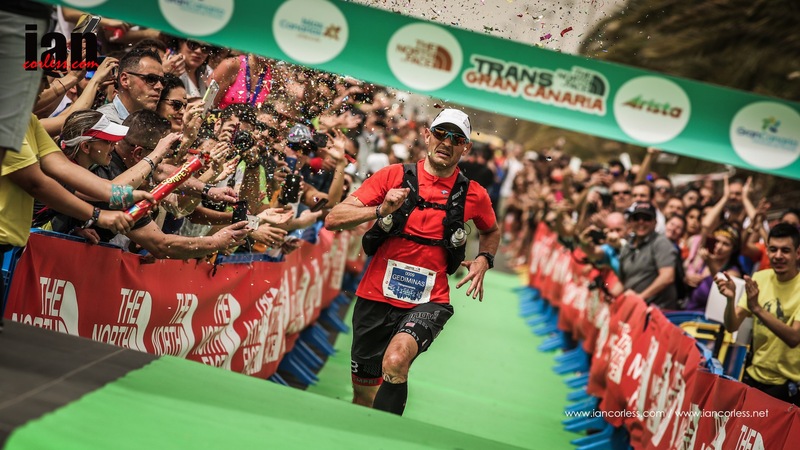 Excitement on the trails almost faded into insignificance on the morning of Sunday Mar 2nd as a press release was released claiming that Julien Chorier would be crowned 2014 Transgrancanaria champion and that Ryan Sandes would be disqualified for a failure to comply with mandatory kit as specified in the race rules. A couple of hours of frantic activity followed and eventually a resolution found! 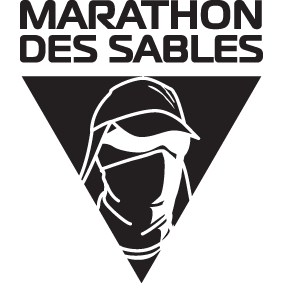 The incidence arose due to a misunderstanding in regard to a space blanket, which was translated into the word, ‘cover’ by the local race official. Ryan understood cover to mean jacket and produced the item from his pack. The official noted this as a noncompliance of race rules and of course the rest is now history. Discussions will go on in regard to this situation, certainly, errors were made. A simple discussion with Ryan and officials prior to any statement would most certainly have been preferable in contrast to the media frenzy that preceded the awards ceremony. 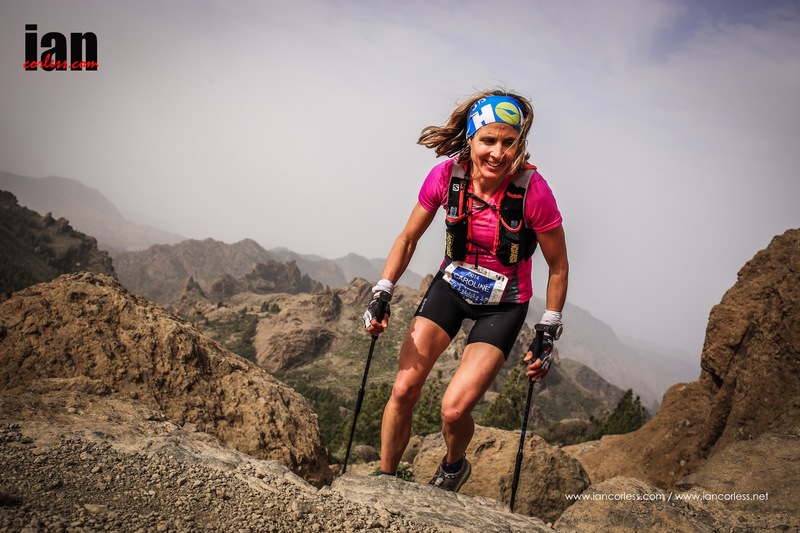 The 2014 Transgrancanaria was always going to be a great race, tough 125km technical course with vertical gain and loss to make the most seasoned trail runner squirm in pain. 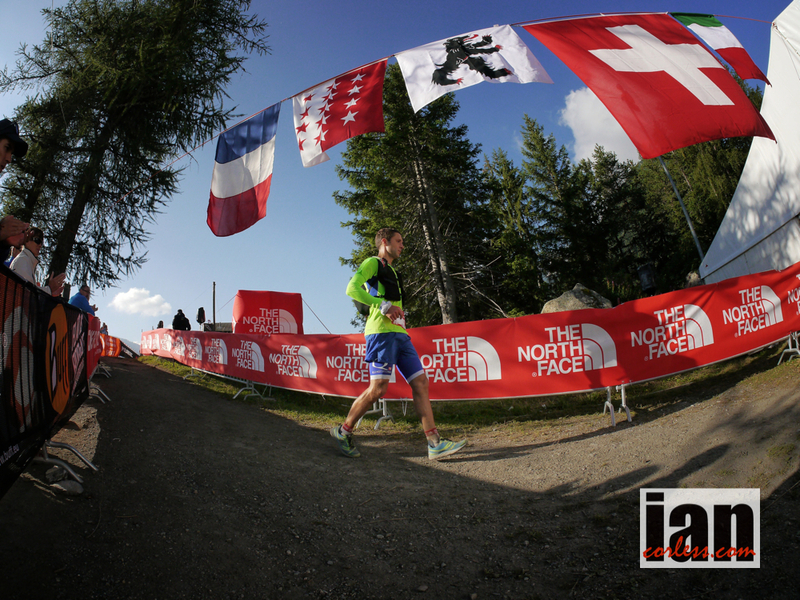 Add to the course a top-quality men’s and ladies field and we had the makings of a classic. 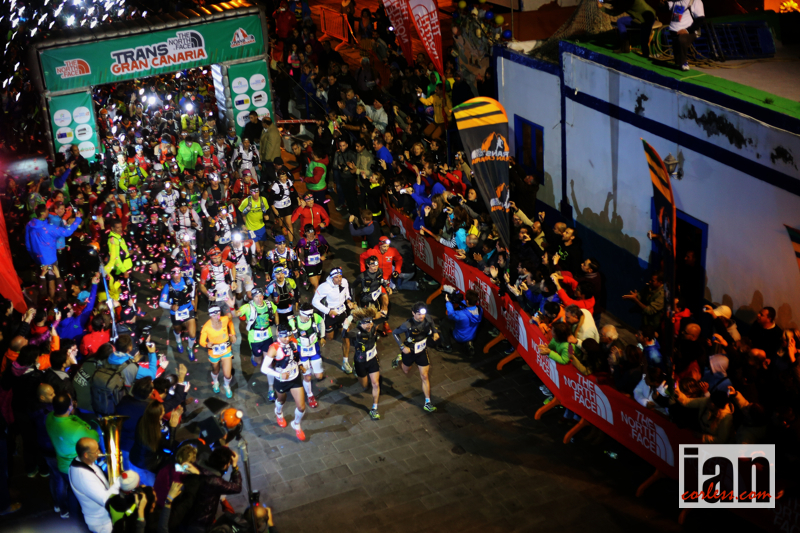 Starting at midnight in Agaete, runners would endure tough, technical terrain and relentless climbing before arriving at the finish in Faro de Maspalomas in an expected winning time of 14-hours. 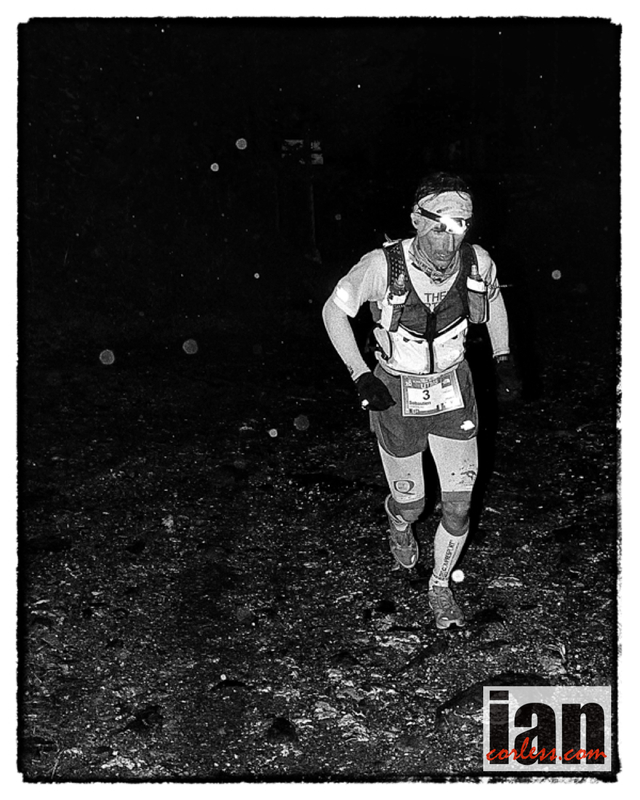 At the toll of midnight, runners disappeared into the night. 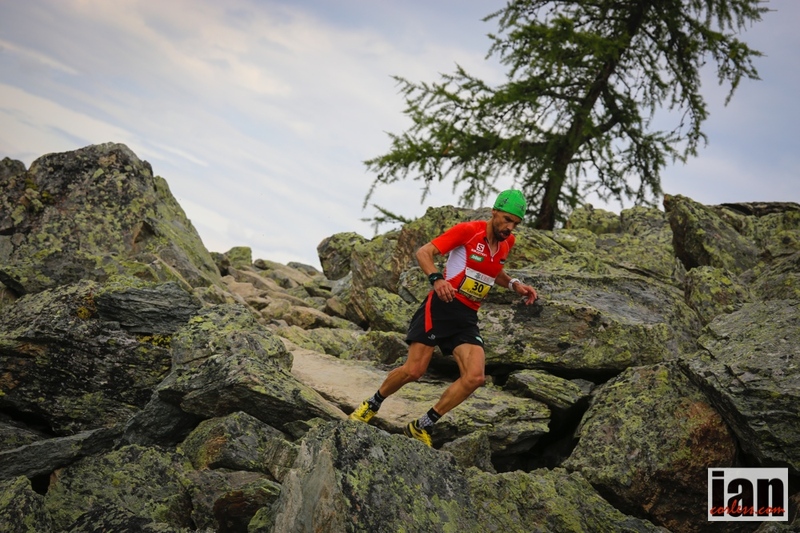 Conditions in comparison to the 2013 edition of the race were good; light rain, some mist and blustery winds caused little problems. 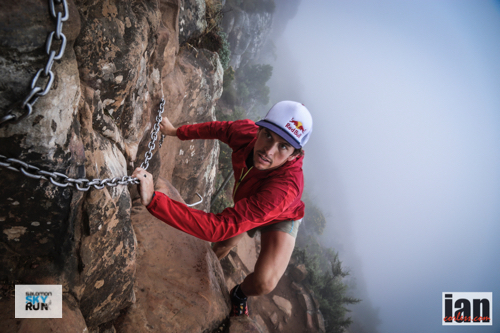 Ryan Sandes and Sebastien Chaigneau ran smart races in the early stages allowing time to get in the flow. Ryan in particular showed incredible maturity and patience and gave a master class in how to work your way up through the field and finish in the top slot. 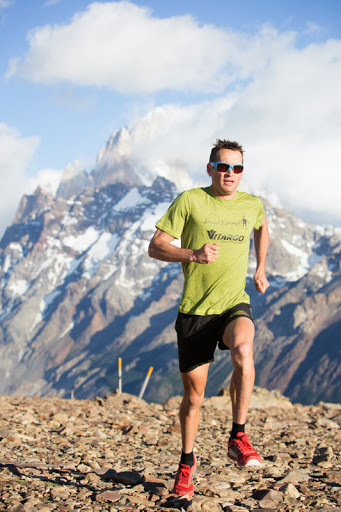 For nearly half of the race, Ryan was just on the edges of the top-10, British runner Casey Morgan said post race, ‘He really knew what he was doing and he looked so relaxed and calm. 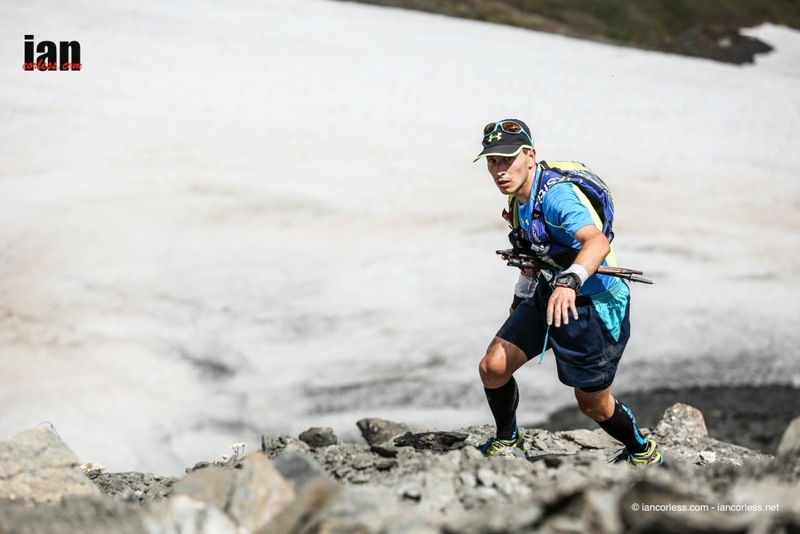 For sure, he was running within himself and I was just waiting for him to take off.’ Take off he did, just after the 70km mark Ryan was lying in 4th-place and in contrast to the 3 –runners in front of him, he looked relaxed and on a mission. Moving up in to 3rd and then 2nd, Ryan finally took the lead with just under 20km to go. 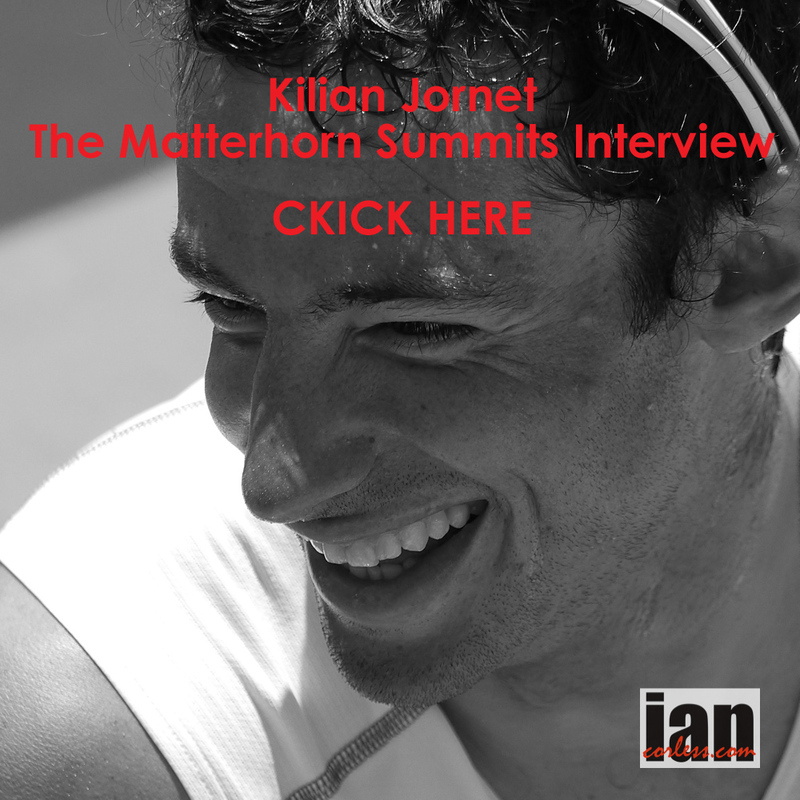 Pushing from the front, Ryan couldn’t be complacent… Julien Chorier and Timothy Olson were pursuing. 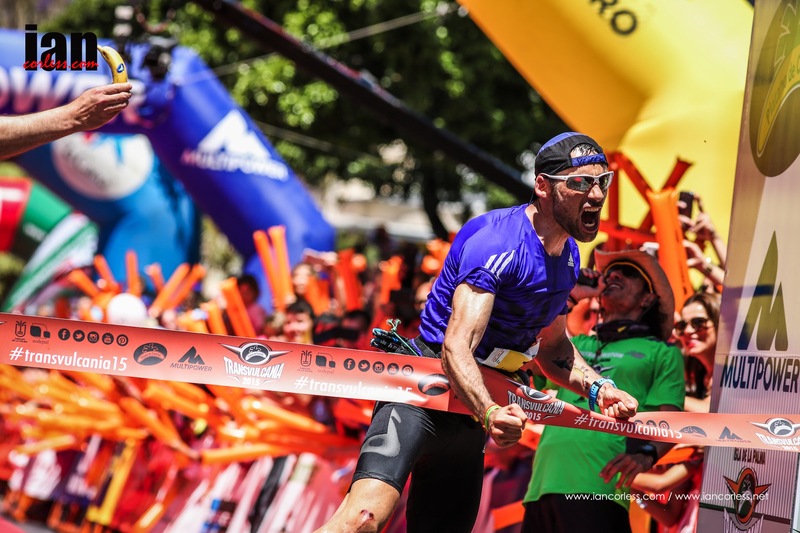 At the line, Ryan had opened up a 9-minute margin confirming that not only is he one of the best ultra distance runners in the world but also that patience is a precious commodity in any race. 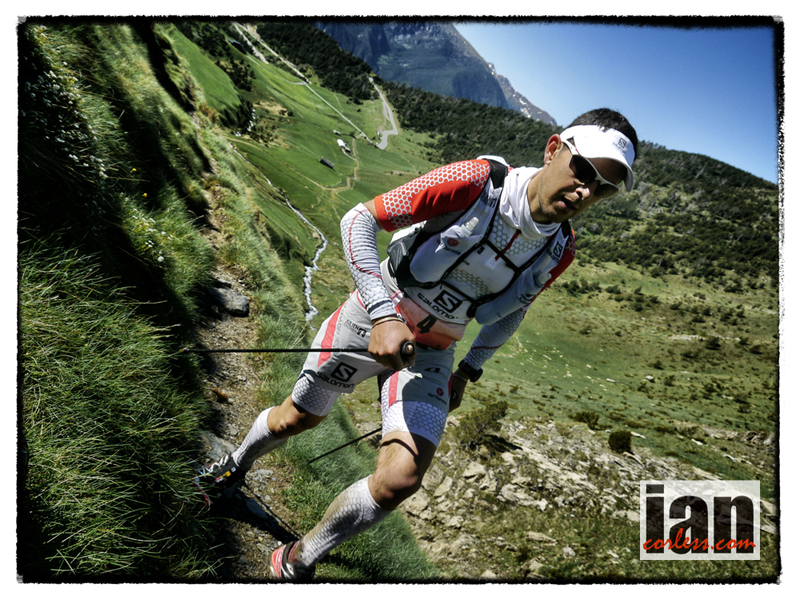 Sebastien Chaigneau had looked like a potential winner early in the race. 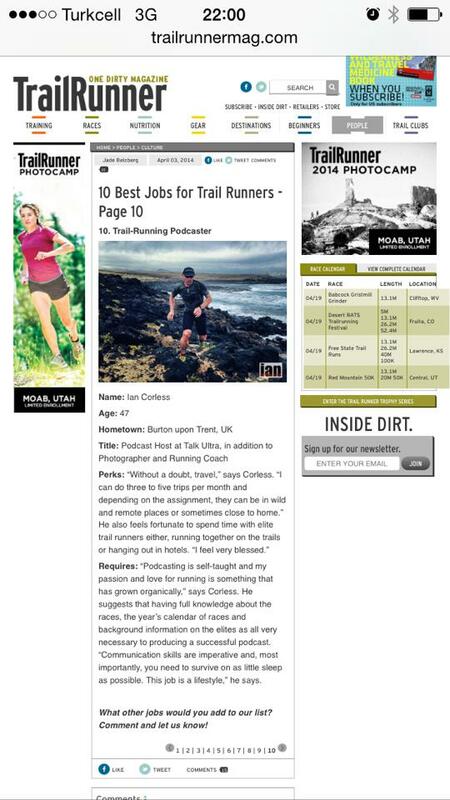 He was the defending champion after all and he knows the trails well. Like Ryan, Seb had paced himself well early in the race and then took over the lead. 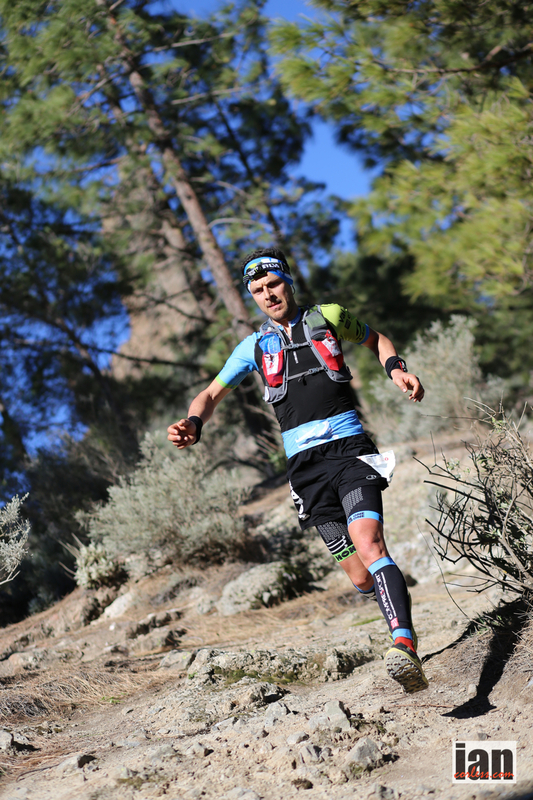 Running relaxed but with focus, Seb traded blows with Arnaud Julia (Buff) and local runner, Yeray Duran (Yeray placed 5th at CCC in 2013) was arguably a revelation and surprise of the day, despite his 3rd place at the 2013 edition of Transgrancanaria, against such strong competition in 2014, I personally thought he would finish lower down the top-10. However, Seb dropped with dehydration and Arnaud dropped having run too hard in the early stages of the race. This allowed the two main protagonists and pre race favourites, Julien Chorier and Timothy Olson to take control of the race. 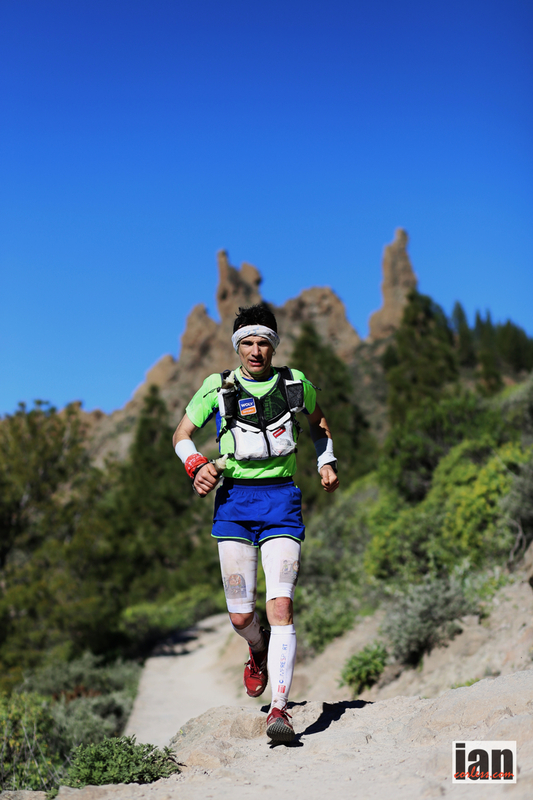 Timothy ran a smart race and respected the terrain and the competition. Taking over the lead at just over halfway, Timothy battled with Julien until Ryan passed them both. 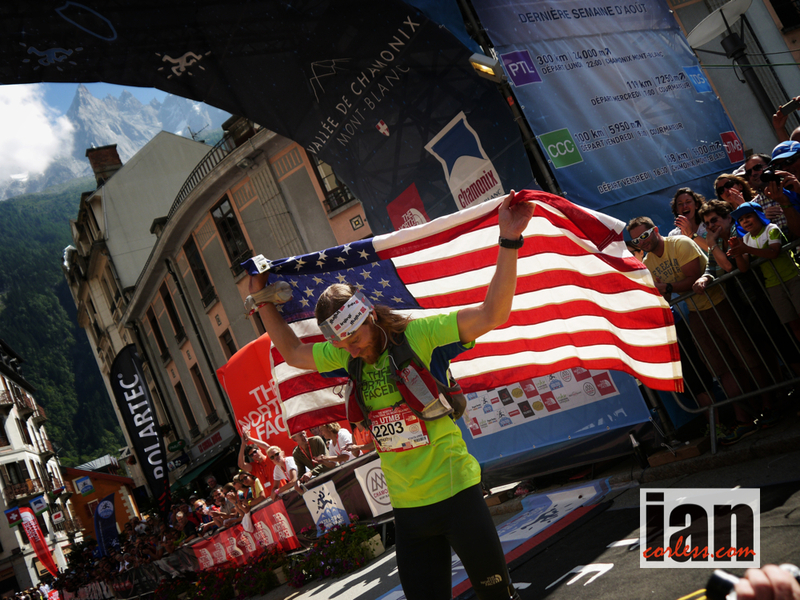 Post race, Timothy was very happy with his race, ‘It beat me up; I like that, that’s why I do them. 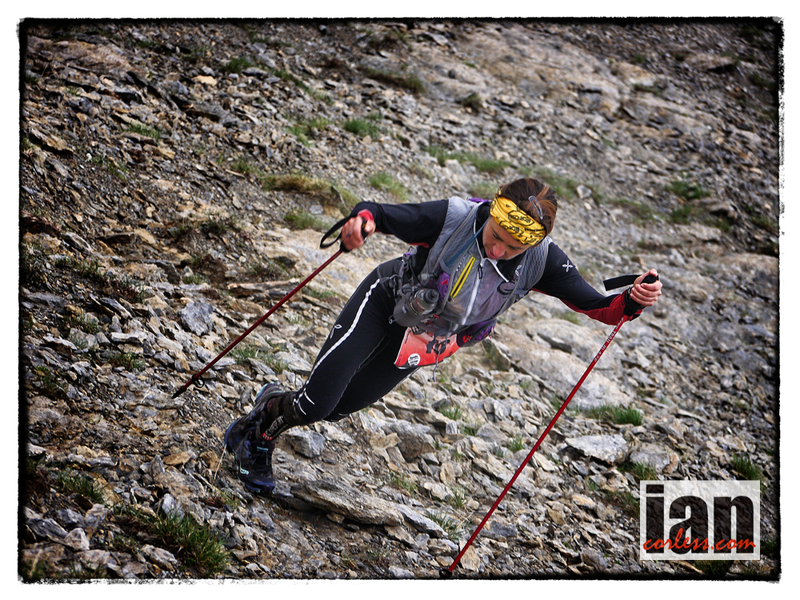 It was a beautiful and technical course. It’s a race I will do it again’. 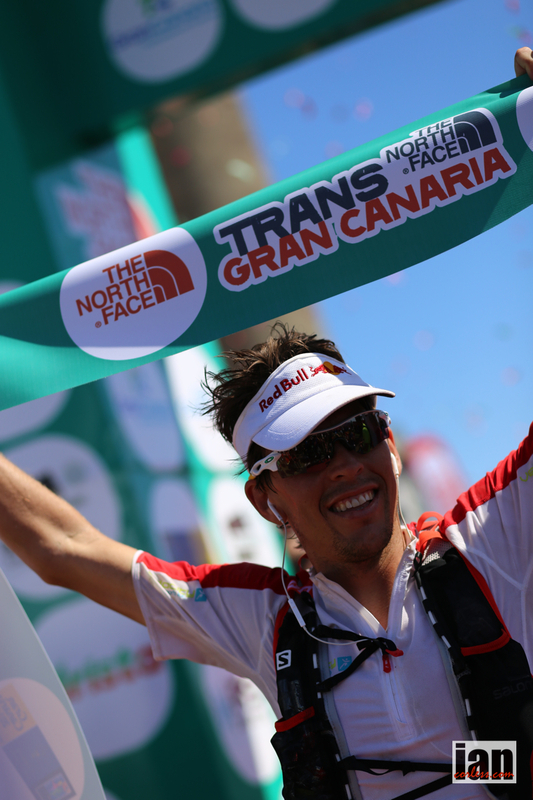 Julien Chorier impressed me at the 2013 Ronda dels Cims and without doubt was a potential favourite for the top title here on the island of Gran Canaria. 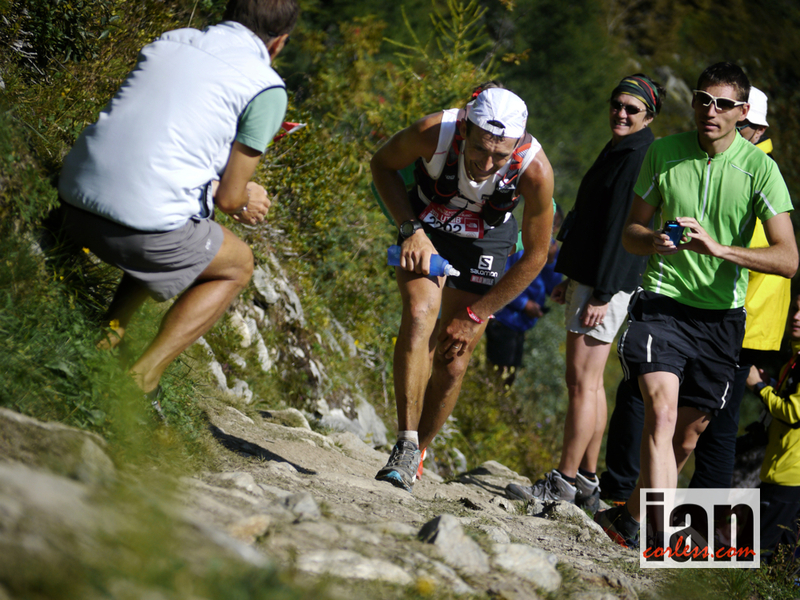 Meticulous in preparation, Julien would bring a clever strategy to the race and having run the whole race in or around the top-5, one just wondered ‘when’ he would make his move. 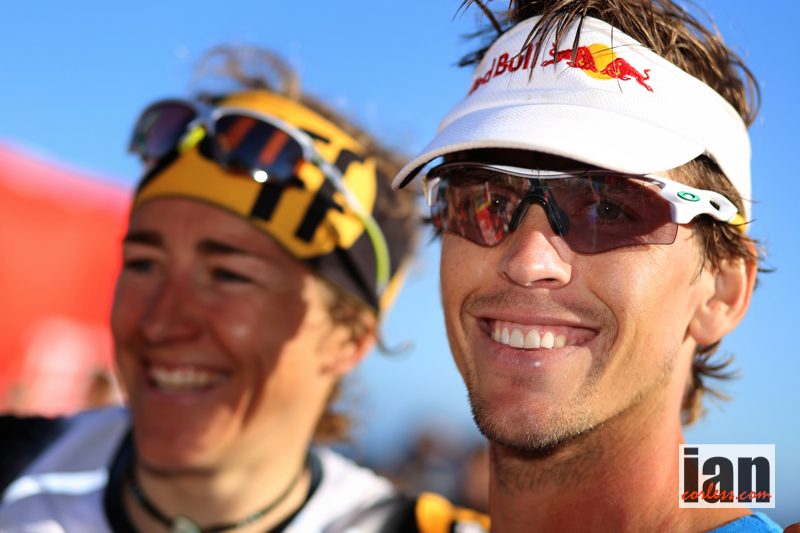 With Timothy out in front, the stage had looked set for an American win, however, a charging Ryan Sandes changed that and when Timothy faltered in the latter stage, Julien pounced to take 2nd place just 2.5mins ahead of the American. 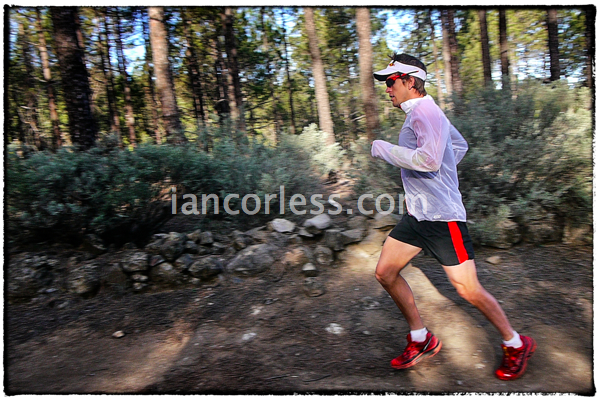 It was Ryan Sandes day. After a troubled 2013, 2014 is certainly looking to be a great year for the South African. 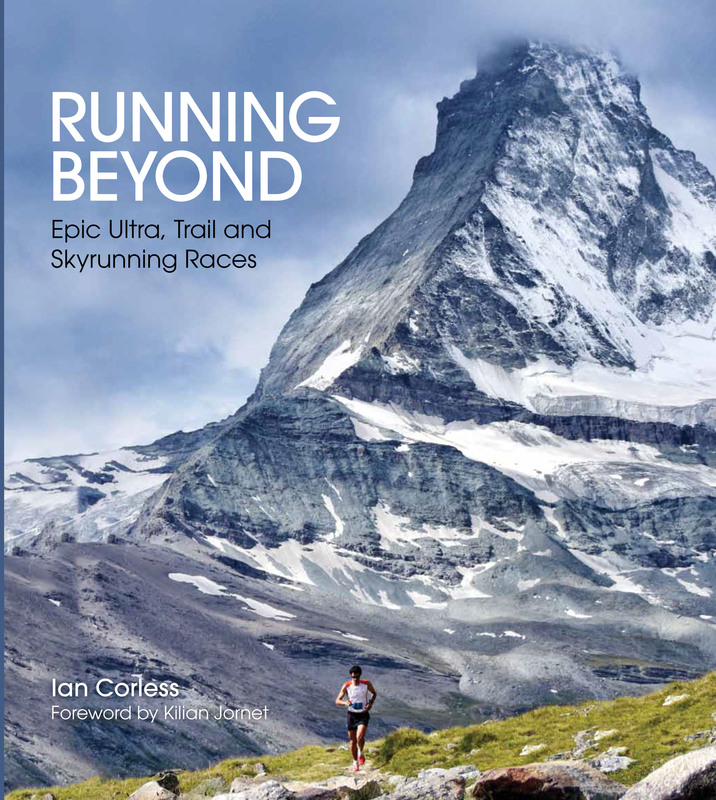 In just two weeks he will attempt an FKT in South Africa and then attention will focus on the Holy Grail of ultra; Western States. 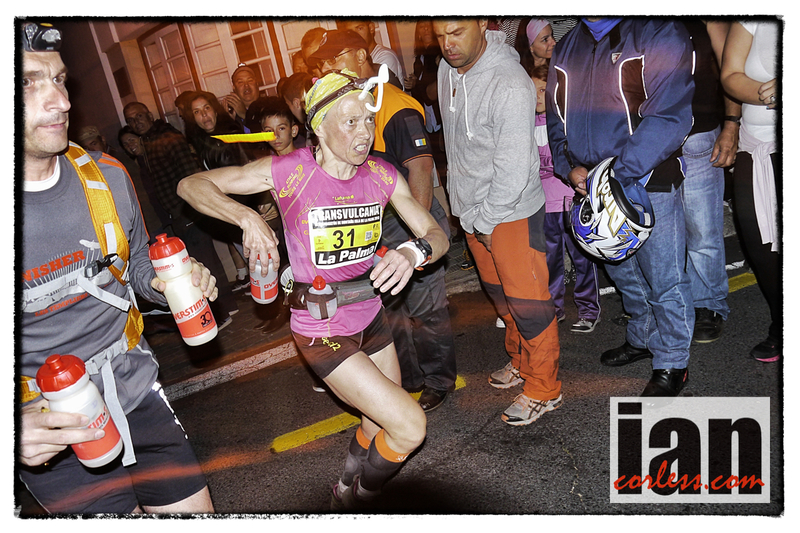 Nuria Picas came into Transgrancanaria as a pre race favourite and the Catalan did not disappoint. 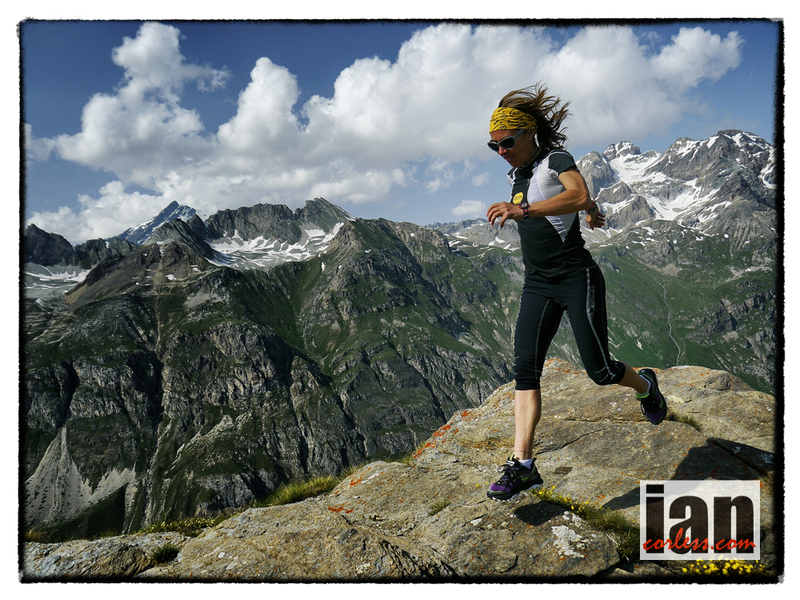 Starting slowly over the first 10km she took the lead ahead of Francesca Canepa and then never looked back. Pre race Nuria had said how important it would be to have reserves for the latter stages; however, Nuria didn’t need to worry. Her consistency of effort was superb. 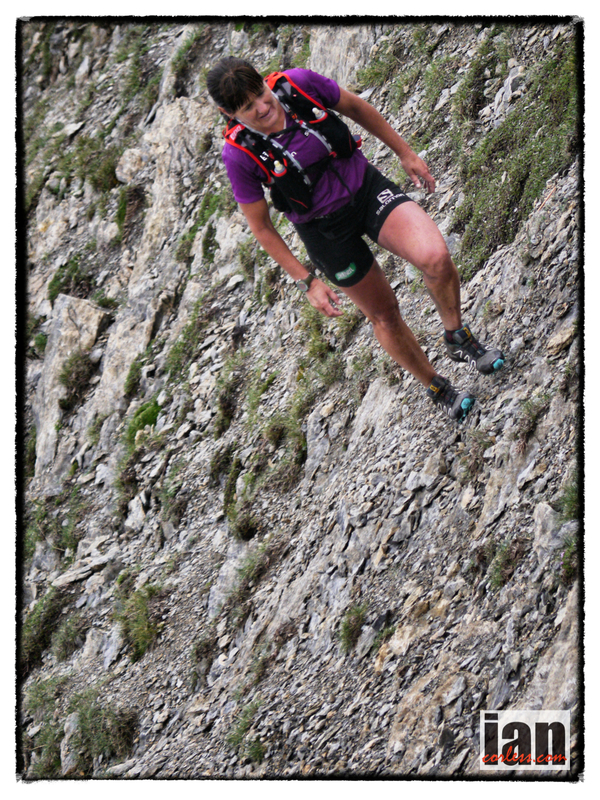 Without doubt, Nuria’s 2nd place at the 2013 TNFUTMB has provided incredible confidence in how to run long and technical trail. 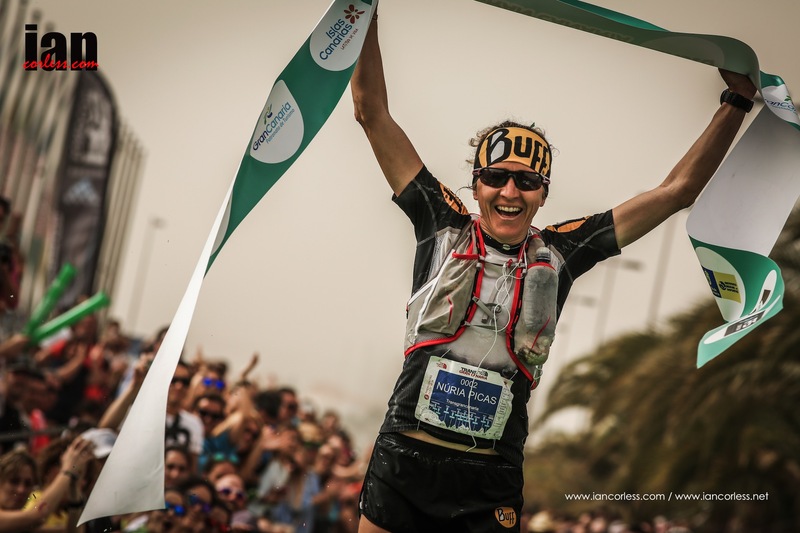 With Nathalie Mauclair and Julia Bottger out of the race, in reality, 2nd place and 3rd place was always going to be a battle between Francesca Canepa and Fernanda Maciel. 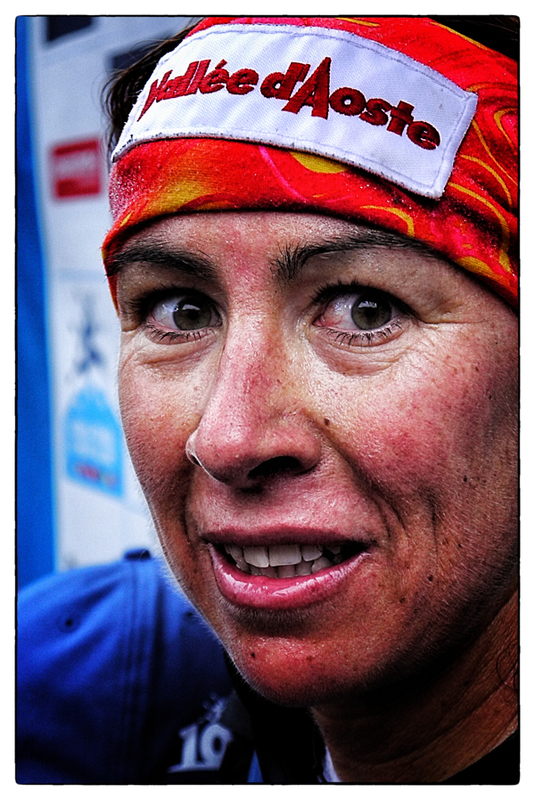 Needing to eat and hydrate may very well have cost Fernanda 2nd on the podium, we will never know, certainly missing the last feed was not an option! 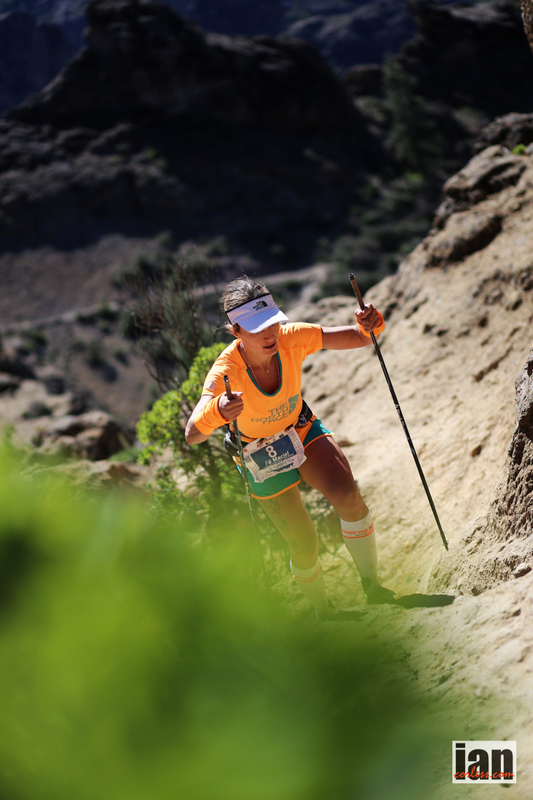 Francesca had an incredible 2013 dominating long distance racing, however, she found the trail on Gran Canaria a little too technical for her style of running. 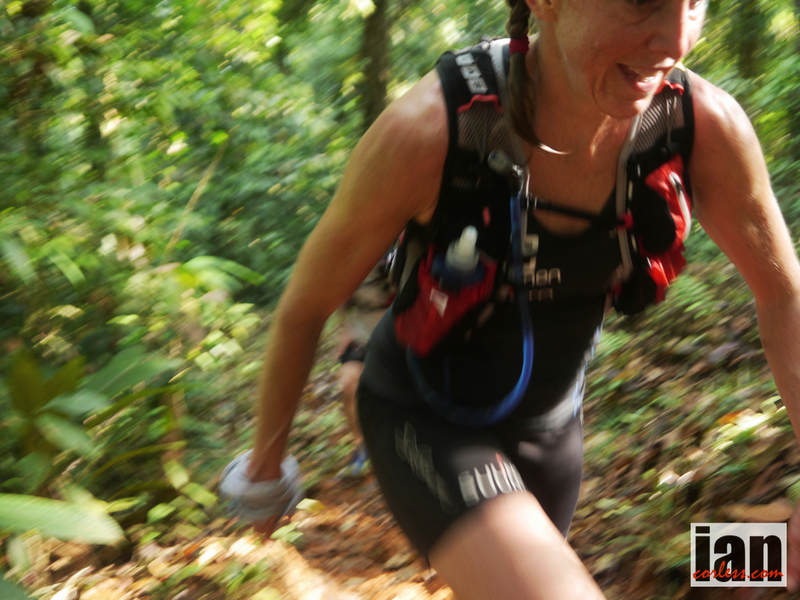 For much of the day she ran in 3rd place but in the latter stages, Francesca found some extra energy, closed the gap on Fernanda and managed to take 2nd place by just under 3-minutes. 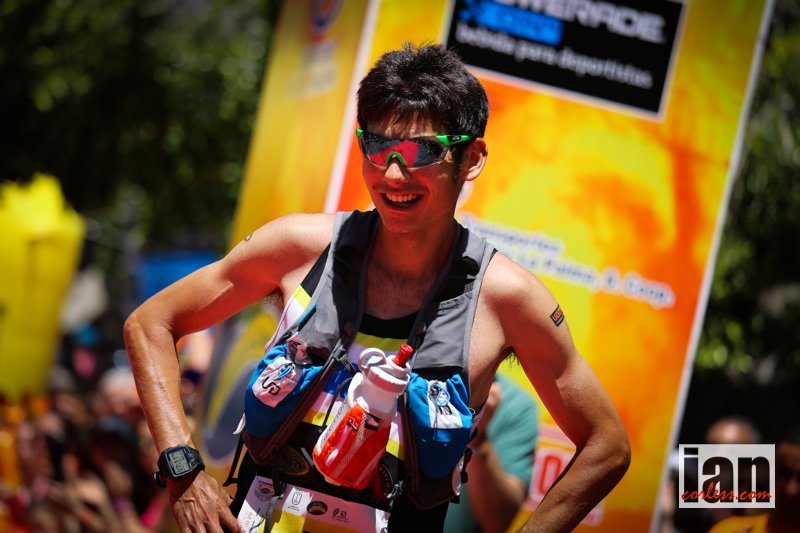 Attention will now turn to UTMF in Japan; many of the runners at Transgrancanaria will be present to do battle once again on very different terrain. I wonder, who will come out on top?